One of the most important reasons to water proof your basement is that your basement is a big part of the house’s foundation. This means that anything that happens to the basement contributes to what will happen to the foundation of your house. 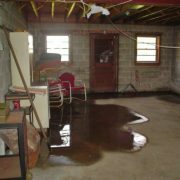 This is why it is important to get damp basement solutions for your basement the minute you see the slightest signs of dampness. A wet or damp basement will most definitely lower the value of your house. Imagine if you wanted to put up your house for sale, for one reason or the other. Nobody would want a house that ha a wet basement. This means that house will have to lower the price of your house for any chance of selling it. Keeping your basement in good condition ensures that your house stays valuable or even increase. A wet basement means that you don’t have as much space in your house as you want. Basements provide for excellent storage areas, and they can sometimes be used as spare rooms. A basement in good conditioned can be decorated to act as a spare room. A well maintained basement means that you have all the space you need and you don’t have to worry about extra rooms when you have guests. A wet basement is the perfect environment for mold and all types of bacteria to grow. This may end up causing diseases and infections in your household members if not treated. The mold may also eat up the concrete and this may damage the foundation. 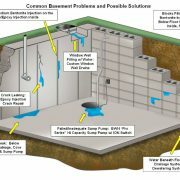 This is when you will need basement waterproofing Toronto services before things get out of hand.